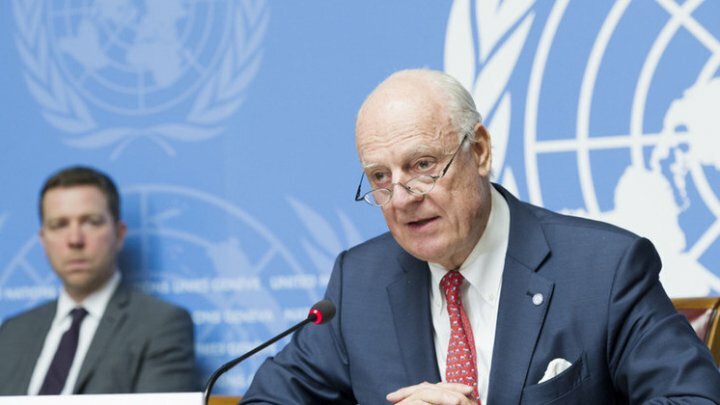 Geir Pedersen, the new UN special envoy for Syria, said on Wednesday in Damascus that he had constructive meetings with government officials on his first visit to the Syrian capital. The veteran Norwegian diplomat took over from Staffan de Mistura, who stepped down more than four years of peace efforts that got nowhere. Nearly half a million people have been killed in the seven-year civil war in Syria, and various U.N.-led peace efforts and indirect talks between the Syrian government and opposition in Geneva have all ended in failure. Pedersen has served the U.N. in various roles including as special coordinator for Lebanon in 2007-2008. He was a member of Norway's team that negotiated the 1993 Oslo accords, which resulted in mutual recognition between the Palestine Liberation Organization and Israel, and was Norway's representative to the Palestinian Authority between 1998 and 2003.